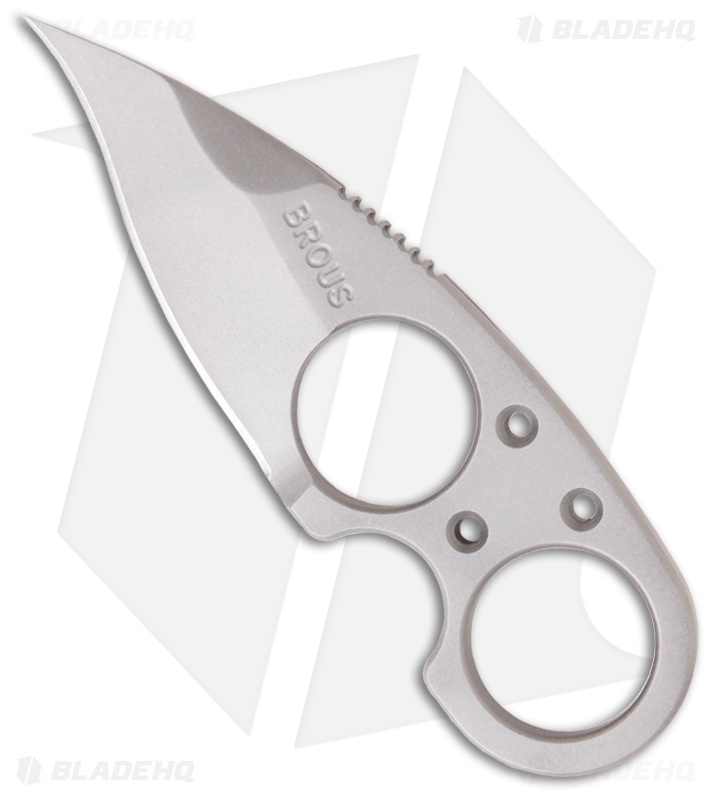 This J. Brous Silent Soldier knife features a D2 tool steel blade with a hawk bill style tip. 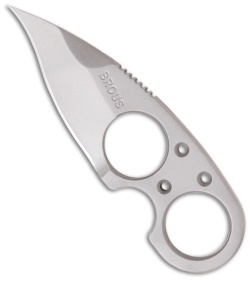 The blade and handle are bead blast finished. The handle has a double hole design with a middle finger groove and thumb jimping on the spine for the superior grip. 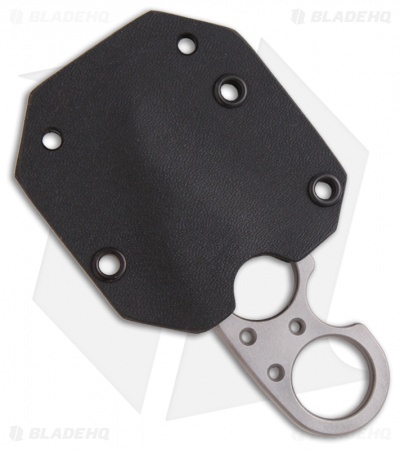 This is a superb design for neck carry and includes a formed Kydex sheath and ball chain.